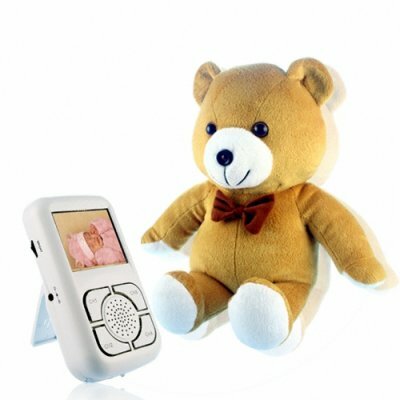 Successfully Added Wireless 2.4GHz Baby Monitor Set - Cuddly Bear Shaped Camera to your Shopping Cart. Soft and cuddly teddy bear, sure to please children, but sure to please parents as it has a built in 2.4GHz wireless camera and comes with a wireless receiver for keeping an eye on a child as they play or sleep. With its ease of use and installation, which any novice can easily set up for themselves, as well as a high quality camera that not only displays video, but can transmit sound and be plugged into a TV for recording as well, this is a baby monitor set that combines a pleasing exterior with some serious technology. Get yours at the lowest possible price by logging in and seeing the even greater wholesale discounts available by buying in bulk..